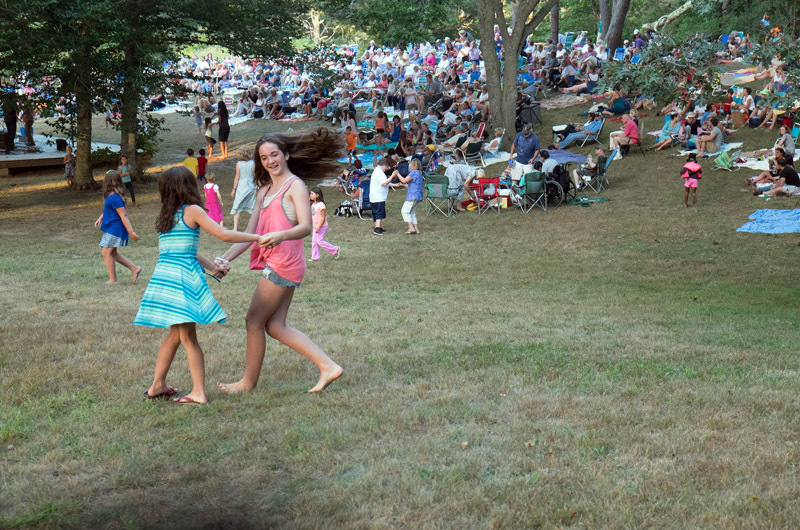 Featherstone hosts popular Musical Mondays on the lawn. Featherstone Center for the Arts has announced a $2.9 million gift from an anonymous donor that will help launch the center’s new capital campaign. In a press release Thursday, Featherstone said the donation marks the start of the Campaign for Featherstone, which will raise funds for the center’s master plan to renovate its Oak Bluffs campus, including building a new pottery studio and office and gallery space. The gift comes as the educational and creative art center celebrates its 20th anniversary. A new three-phase master plan for the center calls for a new and larger pottery studio, an art barn that will house classrooms, administrative offices, a community meeting room, a teaching kitchen, proper storage and a large gallery for varied installations, among other things. Renovations to existing buildings are also planned. Of the recent gift, $1 million has been earmarked for Featherstone’s endowment and $870,000 for endowing the executive director’s position. The remaining $1 million will go toward the creation of the art barn. Fundraising has been quietly underway for the pottery studio, with $750,000 raised to date in gifts and pledges. The estimated cost of the pottery studio and art barn combined is $3.5 million.